Unable to kill the Master-the powerful vampire behind the epidemic infesting New York City-Dr. Ephraim Goodweather begins to self-destruct as battle lines are drawn. It's now up to a handful of humans-an ailing pawnbroker, an exterminator, a scientist, a gangbanger, and an alcoholic-to stop an ancient evil from devouring the human race! 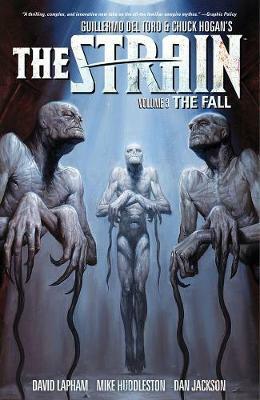 This collection includes issues #1-#4 of the acclaimed series and the short story featured in Dark Horse Presents.